- Bi-component, monolithic, elastic and flexible. - Perfectly watertight and highly resistant to corrosion, abrasion, weather and aggressive substances (acids, alkalis and solvents). - Obtained from natural and renewable resources (castor oil), totally non-toxic and odorless. 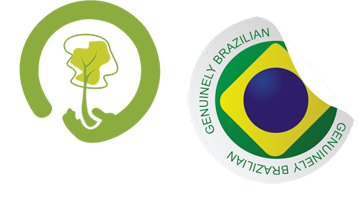 - Environmentally friendly: 100% solid, completely free of heavy metals, solvents or volatiles. biodegradability compatible with its useful life. - Formulated and cold-polymerized; do not lose mass after the cure. - Do not need mechanical protection; allow visual inspection and transit of people. -Reduce the transfer of heat and noise to the indoor environment. -Lightweight, they can be applied to the mechanical protection of the damaged asphalt sheet, recovering the tightness. -Provide safety for transportation, storage and application: can be applied indoors, with low ventilation. - When burned, they do not propagate flames and do not release toxic gases. - They fully meet the specifications of NBR 12170, ensuring complete safety for use in drinking water reservoirs. - Tend to a slight yellowing when exposed to uv radiation, preserving all other characteristics. 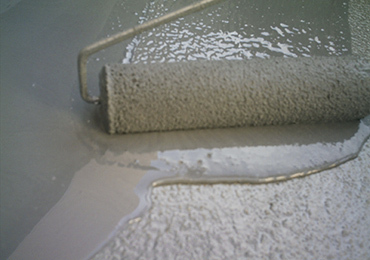 - Easy application and excellent adhesion to the substrate, applicable to any porous surface, with squeegees, paint brushes, paint rollers or bi- component air less equipment. -Por repairs and maintenance, cleaning and sanding of adjacent surfaces with subsequent application of a new layer is enough. - Treatment of industrial floors against corrosion, abrasion and chemical aggression or subject to friction of machines and equipment. -Effluent and affluent treatment stations (STS/WTS). -Chemical restraint, channels and boxes of industrial effluents. - Reservoirs for drinking water, water tanks, swimming pools. 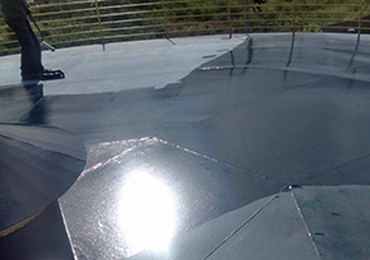 - Waterproofing of large aquariums, water mirrors and tanks for fish farming. - Cold rooms, floors, ceilings, walls of sanitary areas or where there is corrosion by evaporation. - Tanks, structures or metallic surfaces subject to chemical aggression. - Waterproofing required to build a green roof. - Revitalization of metal or fiber cement roofs. - Expansion joints, crack or fissure. - Treatment of rising humidity. - Protection of wood and derivatives, against deterioration by moisture, insects or fungi. - Binding agent and waterproofing for handicrafts.